Remember Albert Haynesworth? Yeah, he was terrible. Don't take my word for it, though. Take Mike Shanahan's. After Haynesworth criticized Shanahan during a recent radio appearance, the Redskin coach fired back during his press conference Thursday. "When you don't get along with somebody as a head coach, or assistant coach," Shanahan told reporters, "it usually falls under one of those couple areas: lazy, lack of passion and a lot of times lack of character. And he fits all three. "You usually take the high road as much as you can, and I usually do. But he's been talking quite a bit over the last couple years, so I thought I'd be honest and tell you how I feel." 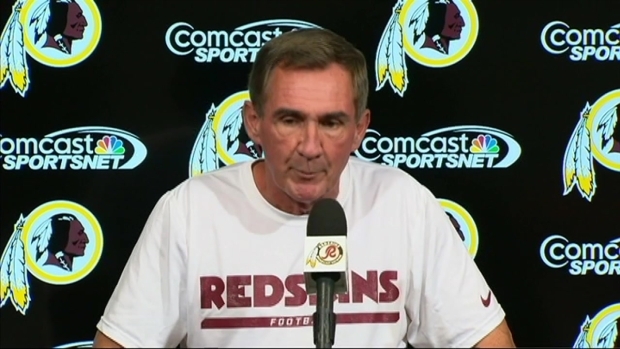 Redskins Coach Mike Shanahan and Albert Haynesworth parted ways more than two years ago, but the bad blood lingers. After Haynesworth said during a radio interview Wednesday that Shanahan couldn't be trusted, Shanahan hit back in his press conference Thursday. Haynesworth spent one season in Washington with Shanahan, and by all accounts, the two did not get along. The former defensive tackle pulled no punches as a guest on Tennessee Sports Radio. "Great coach. Yeah. I mean, that's what he came in, the very first meeting, he came in saying. 'I'm a great coach, I know how to win, I've won 25 championships,'" Haynesworth said. "I'm like, 25 championships? Then I go back and look, and I was like, you haven't won a freaking playoff game since [John] Elway retired. How come Elway comes back after Shanahan gets fired? Kind of weird. I mean, the guy is all me, me, me. Sorry to say that."